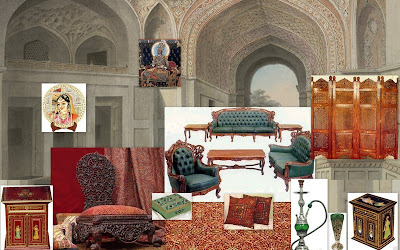 In global styles like these, the quickest and the easiest way to achieve the effect you are trying to is by opting for a wall paper depicting the mughal style of architecture or some paintings depicting the lifestyle of the mughals. 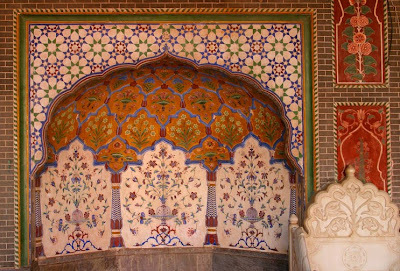 Mughals are known for their use of marble. 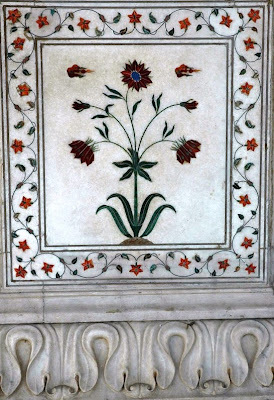 Beautiful marble inlay work can be done based onyour budget. 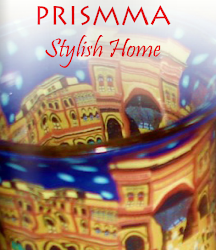 If your budget is limited, then try to create some focal points with this kind of work. Get some Plaster of Paris work does to create cornices, arches etc., as shown in the below picture or the above collage. 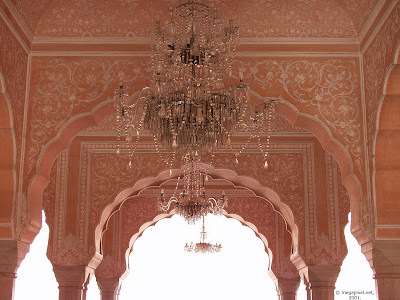 Arches were made famous by the mughals. Use jewel colours and some fake jewellery to add to the royal look. I hope you found this information useful. Please do let me know when you start working on your project. Contact me if you need some more inputs on this. thank you for visiting my blog. Love these inspirational pictures!